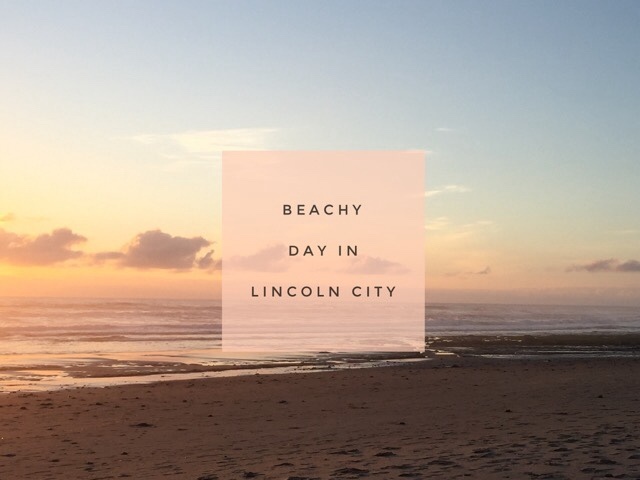 I was seriously needing a beachy day, and so did my parents, so we decided to go to Lincoln City, Oregon on Friday for a beach day. We all had the day off, and I was so excited to spend some time with my folks. 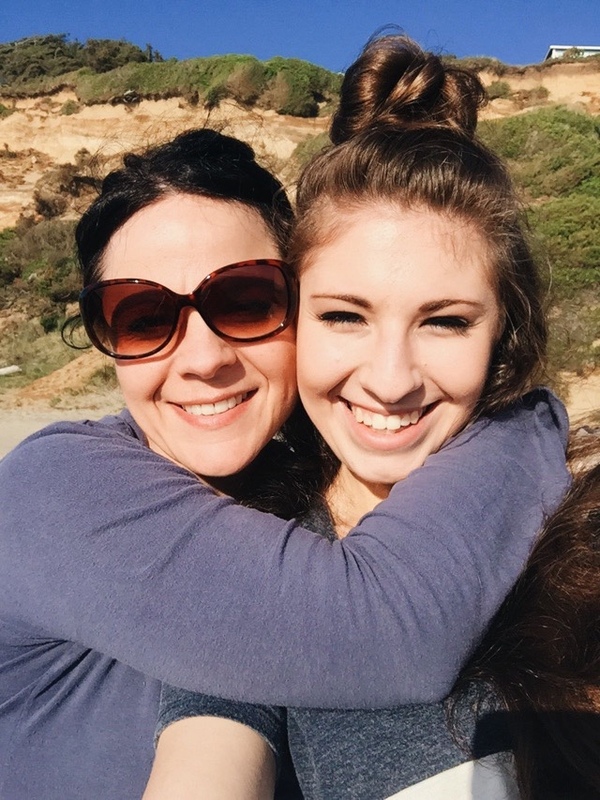 As you may know, I am moving to Florida soon, and I want to spend as much time with my parents as I can. Doing beach days have always been something my family enjoys, and we have turned it into the tradition of the Summer. 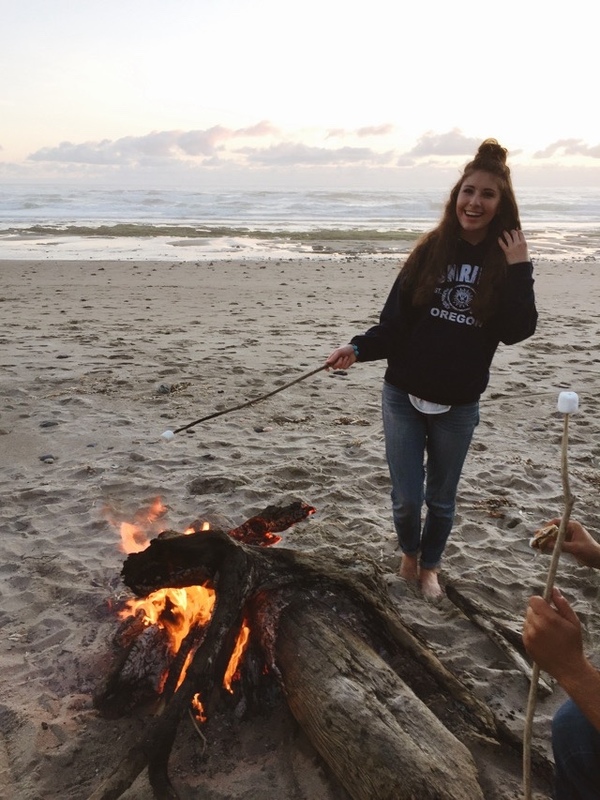 We went to our special spot at Lincoln City, built a fire, and roasted hot dogs and s'mores. It is dinner and dessert with the best view and the best company. Before we left, we were looking at the weather and saw that it was supposed to rain for a spell in Lincoln City, but that the weather was going to be decent later in the evening, so we went for it! Our first stop was in Tillamook at the Blue Heron. The Blue Heron is such a cute cheese shop where they have gourmet dips, sauces, jams, jellies, mustards, and the best French brie you will ever taste! My parents have never had lunch there, so we sat down for a little bite to eat. I love that Tillamook is on the way to Lincoln City, because then we can go to Blue Heron, or Tillamook Cheese Factory. Both places have something different to offer, and it is great to stop there on the way to your destination. 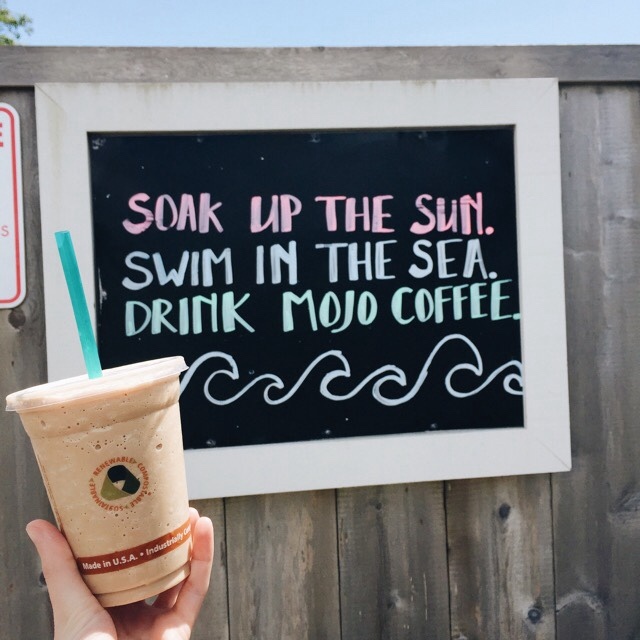 Once we were in Lincoln City, we had to stop at Mojo Coffee. 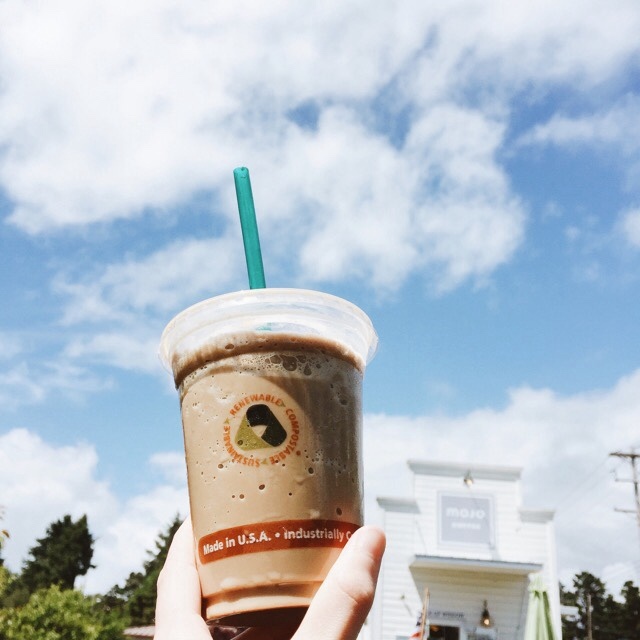 Mojo Coffee is a darling drive-thru/walk-up coffee stand that serves delicious drinks using Stumptown Coffee. I love getting their blended espressos in White Mocha. I swear, it is the only coffee that I have sipped on and have actually felt euphoric. I take my coffee seriously (as silly as that sounds), and Mojo Coffee is really the only coffee stand that makes coffee to my standards. 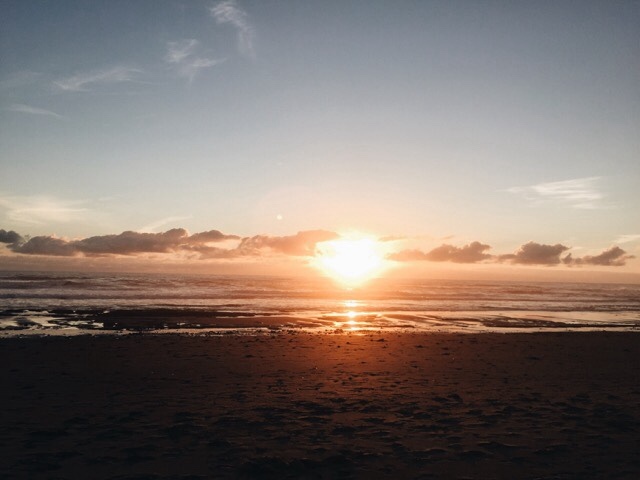 I don't know if it is the salty air, or the fact that it is an hour and a half away from home, or their coffee-making method that makes their coffee so amazing, I just know that I have to stop there every time that I am in Lincoln City. It is a must! After stopping by Safeway for dinner and s'more fixins, and waiting for the rain to move along, we drove down to our spot and settled by a large log. Here is the thing about the Oregon Coast, you walk on the beach, and it is extremely normal to see large tree trunks washed up on the shore. It is a blessing actually because my family NEVER has to buy dinky firewood. With the free logs provided, we can build grand fires. My dad always says that the secret to a great fire is lighter fluid! ha! 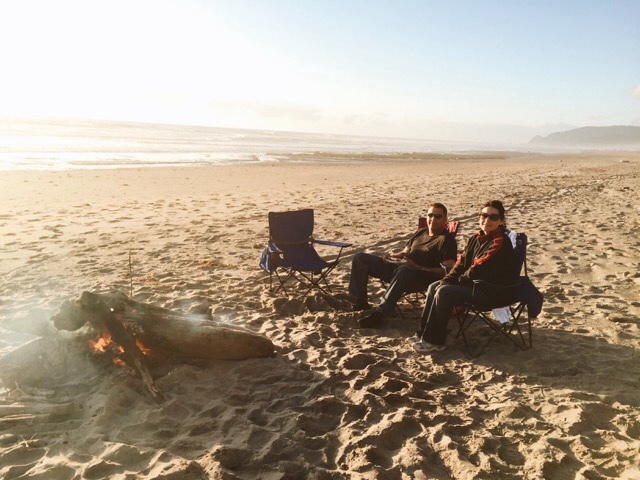 This fire we built is probably one of the best fires we have had in our ventures to the beach. We collected the logs, and drug them over to our area. It is funny that we were worried about the weather because it was blazing hot on the beach. 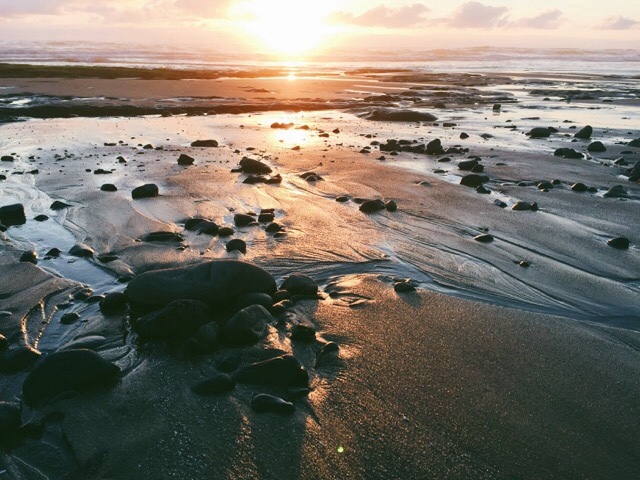 I don't think I have ever sweated on the Oregon Coast, on the beach. I have always needed to have a sweatshirt on, or a light long sleeve shirt, but I was actually sweating and feeling the sun on my face. It was so perfect! 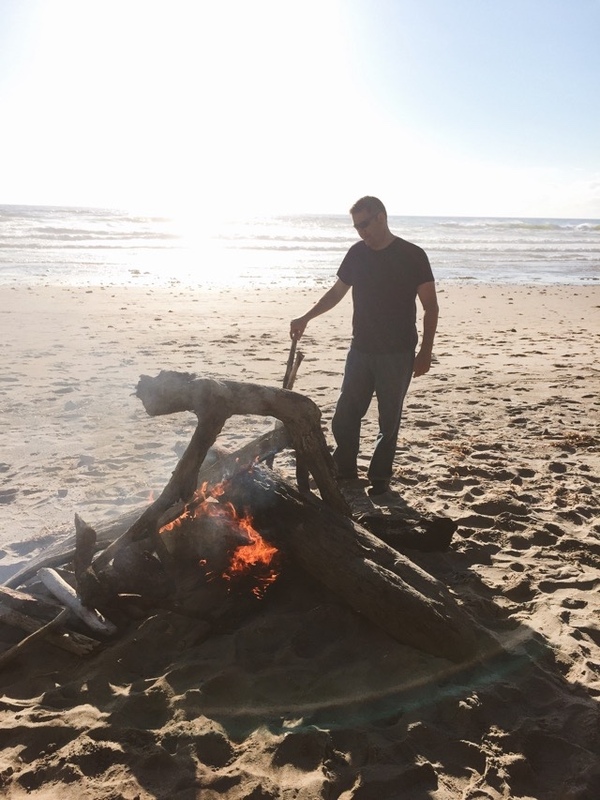 We do not use the fires we build to keep warm (until the evening), we use it to make dinner, and for the aesthetic of being at the beach. 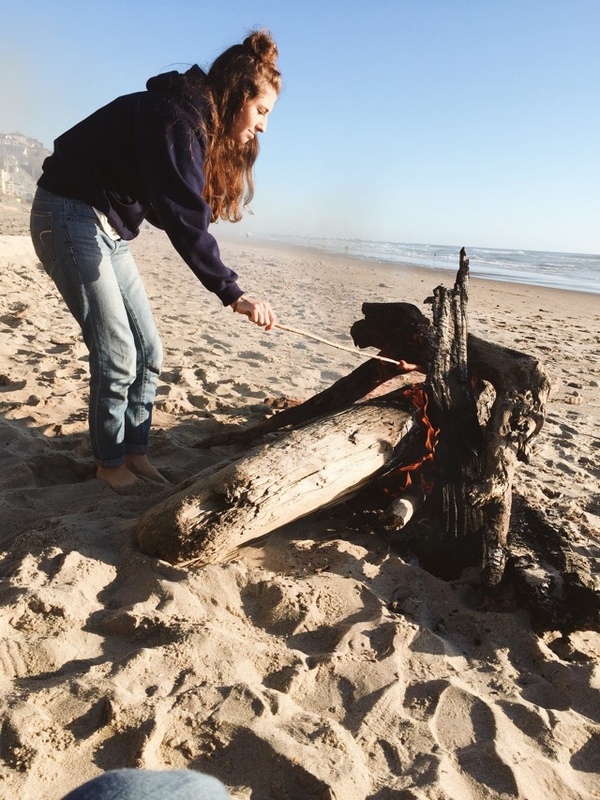 We always roast hot dogs on the beach fire. Always, always. A couple of years back, we decided to try Hebrew National hot dogs, and we cannot go back to other brands since we tried Hebrew National. The way they smell when they sizzle in the fire, and the way they taste after being slow roasted on a stick, it is one of my favorite dinners. 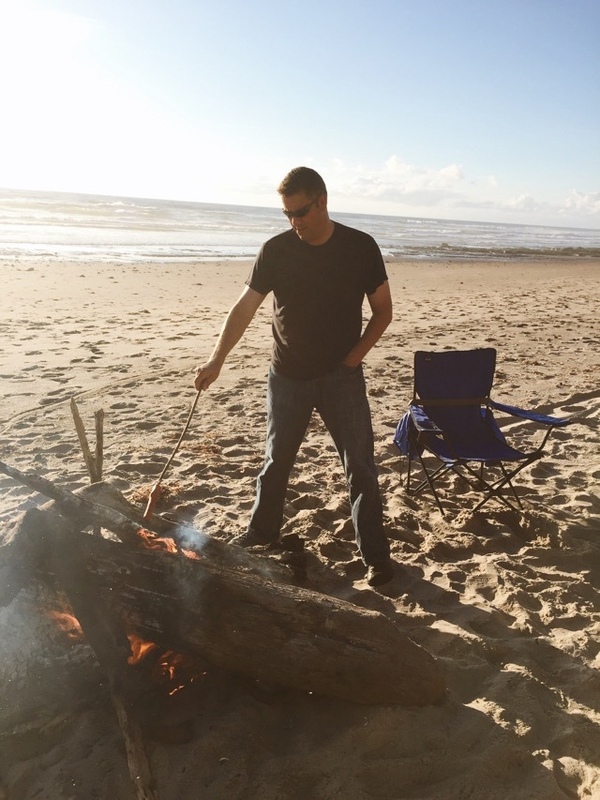 Roasted hot dogs on the beach at Lincoln City. 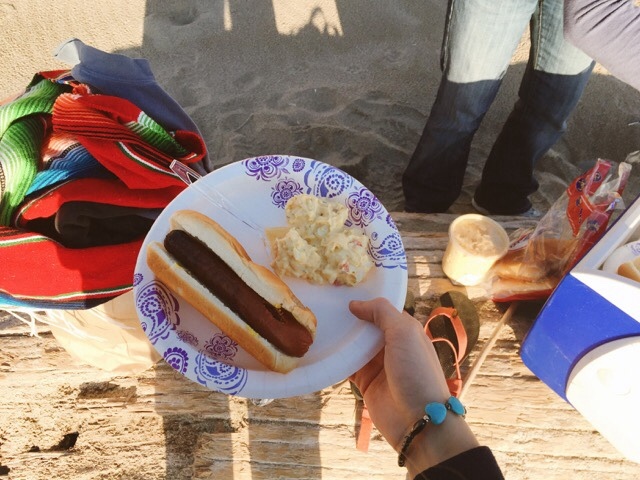 We even find the sticks on the beach, widdle the end to a point, and we roast the hot dogs on the sticks. The many forms that the fire took on. We all said that the feature log looked like a skinny ape leaning over the fire. Instead of buying pre-packaged potato salad, we decided to go with the potato salad that was made in the Safeway deli, and it was the best choice! The deviled egg potato salad at Safeway is so flavorful, and delicious. It pairs perfectly with a fire-roasted Hebrew National. Throughout the time we were on the beach, I was actually working on my makeup business. I was taking product pictures, and taking pictures of my makeup because I have plans for a really fun makeup post! 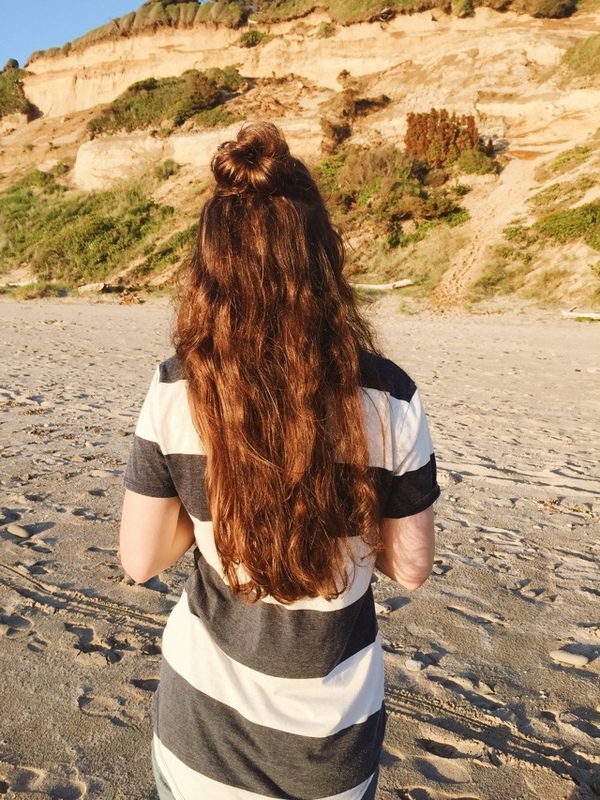 I noticed my hair became wavier and wavier, and I had legitimate beachy waves! I was pretty proud of them. 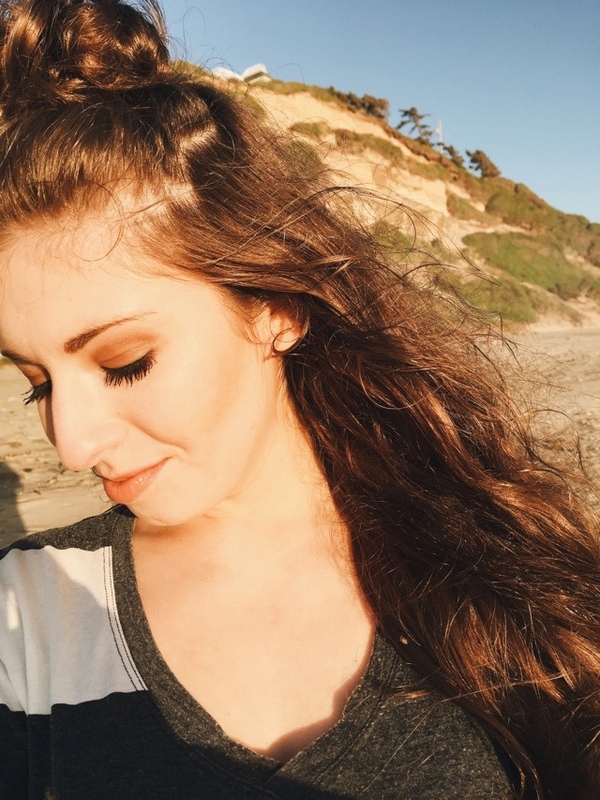 Proud of the beachy waves, and proud of my beachy makeup that I will be talking about in an upcoming post. Friday was so beautiful. I love spending time with my parents, they are amazing people, and we really know how to do beach days. We have perfected it to bringing only one cooler, and a grocery bag, a few lawn chairs, and a blanket down to the beach. 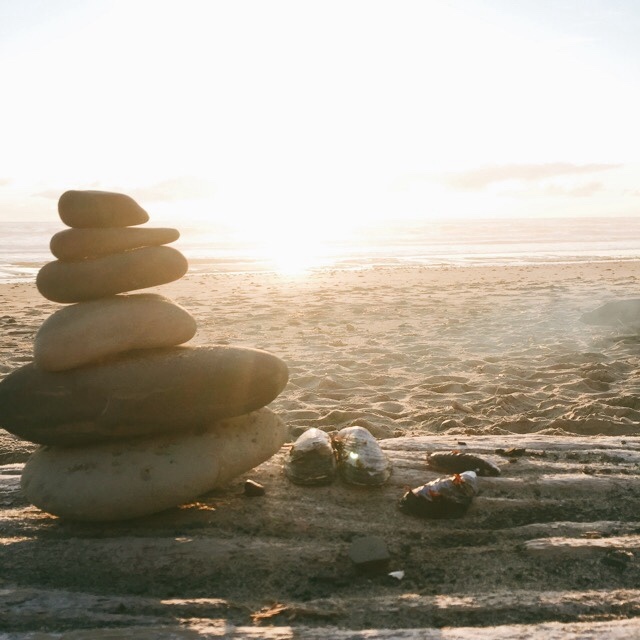 We used to have to bring a card table, a couple of coolers, multiple blankets, multiple jackets, and practically everything down to the beach. It used to take us a couple of trips to clean up, and it was kind of exhausting. 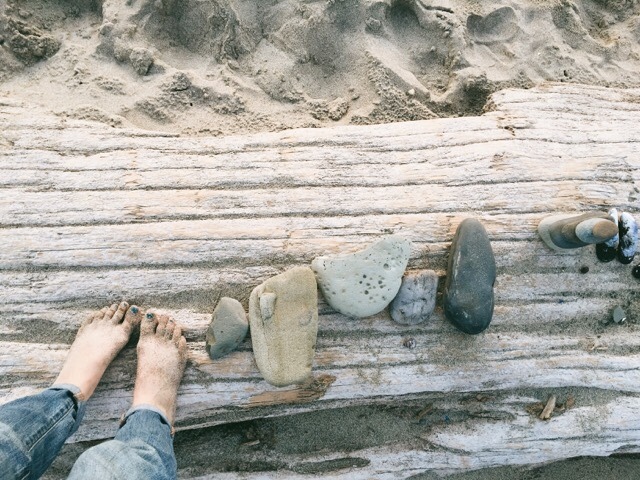 We have turned our beach days into a science. It's a little silly that I take pride in that, but it is how we do beach days, and it is a really great method. The beach makes me a little giddy. It was such a pretty day, and I felt so creative and confident. 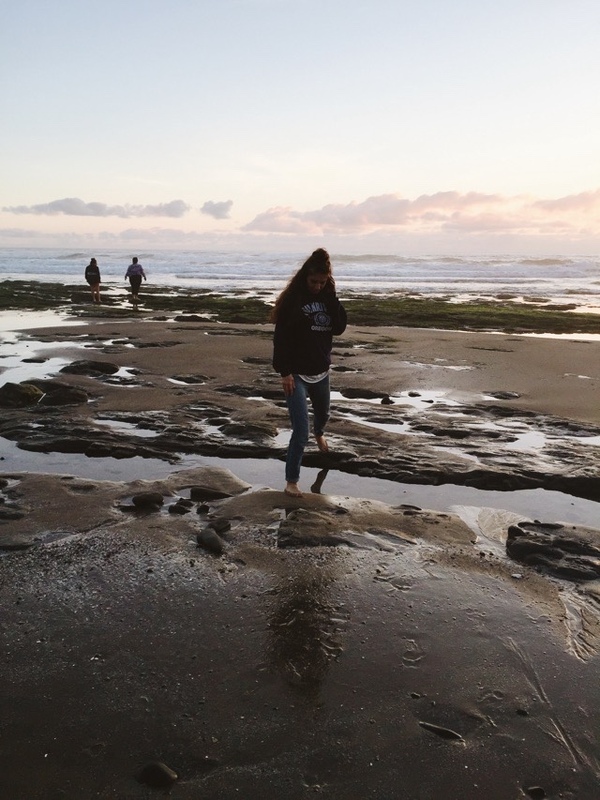 I wanted to soak it all in because it will be one of the last times I get to be at Lincoln City for a while. This beach city is very special to me. 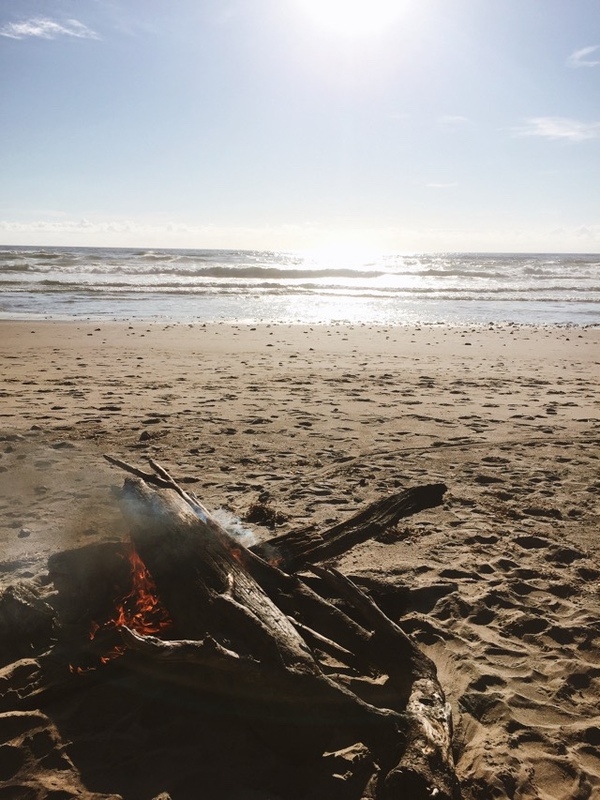 It is the place where a lot of family traditions took place, and where we started doing the fires on the beach; it is where we found the Hebrew Nationals, and flew kites a few years ago. It is where I first started my makeup business, and where the best coffee is. 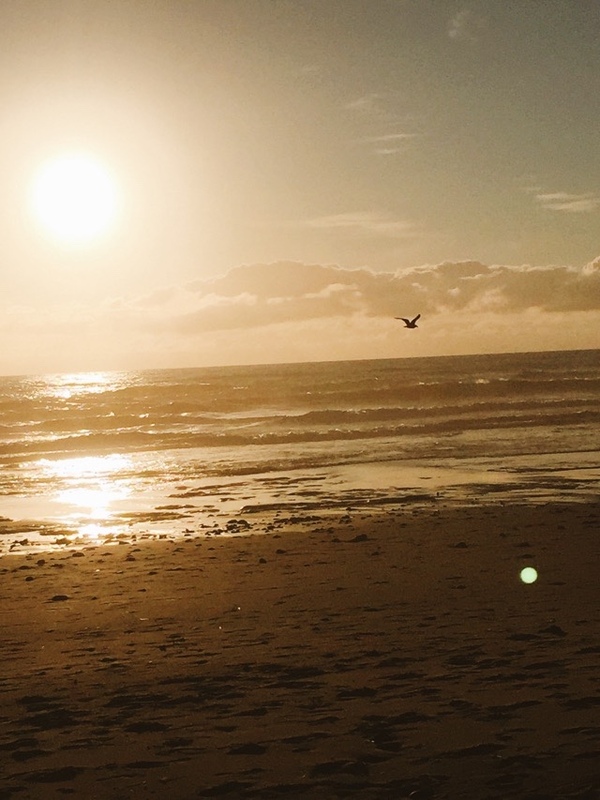 Lincoln City will always have a special place in my heart. 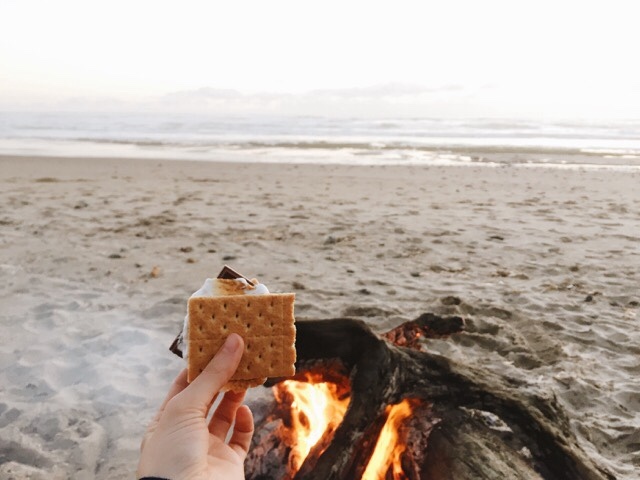 I couldn't leave without roasting a marshmallow, and making a s'more. S'mores are not my favorite thing to eat, but for some reason, this s'more was so delicious, and so decadent. I took special care in toasting the marshmallow to make sure it was just golden brown, and not burned anywhere. It ended up being the best s'more I have ever made. It was absolutely delicious! This beach day went by way too fast. It was lovely, and the weather was beautiful. It was one of the best beach days we have had, and I can't wait to go back. 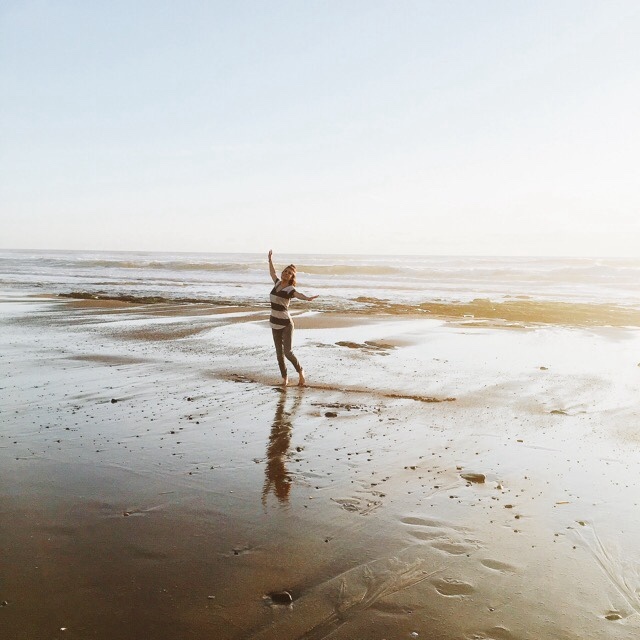 I am a beach girl, I love that the coast is only an hour and a half away from Portland. I could never live in a state that is not coastal. I always need to be within hours of the beach. I hope everyone had a great Monday, mine was slightly on the negative side. 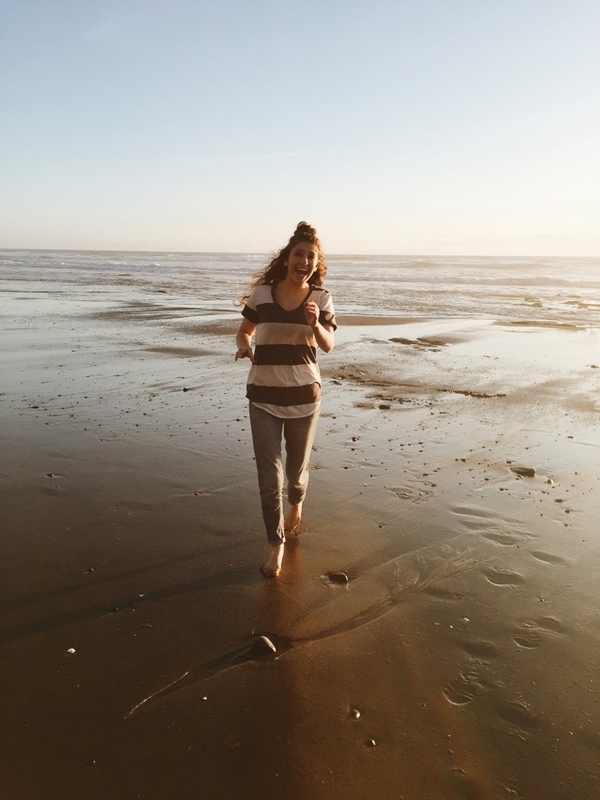 I ended up having to leave work because I was kept hunching over from pain, and having a hard time catching my breath. My heart was racing, and I couldn't finish my tasks very well. I have never left work for illness before. I probably shouldn't have even driven home, that was a scary 15 minute venture. I ended up getting home safe, and as soon as I got into the door, I just laid down on the floor. Luckily, a couple of hours later, I started feeling better, and spent some time talking to a really good friend, and finished this blog post. It turned out to be a good evening.